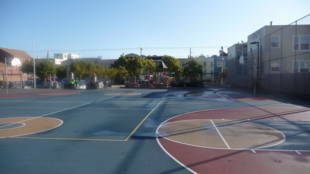 Located in the Richmond District, Rochambeau Playground has a well-kept recreation area that offers two full basketball courts, a tennis court, four-square court, hopscotch blacktops, and a dual-level playground with great climbing structures and sand area. 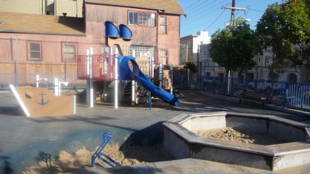 One playground is designed for younger tots and one for older children. There are restrooms at the recreation center and plenty of benches and picnic tables to rest at. The gate closes at 6:00 pm. 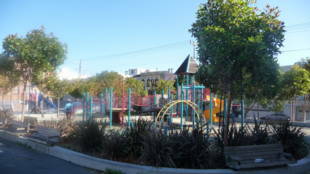 Rochambeau Playground is owned by the San Francisco Recreation and Parks Department. 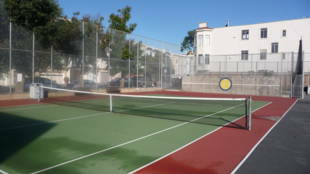 #29 - Sunset -- California and 25th Ave. stop (walk 1/2 block north) or Lake and 25th Ave (walk 1/2 block south). The Rec Center offers a variety of family programs. 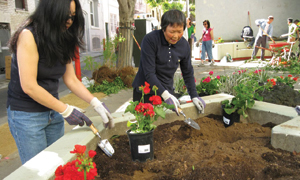 Call for more information (415) 666-7012.